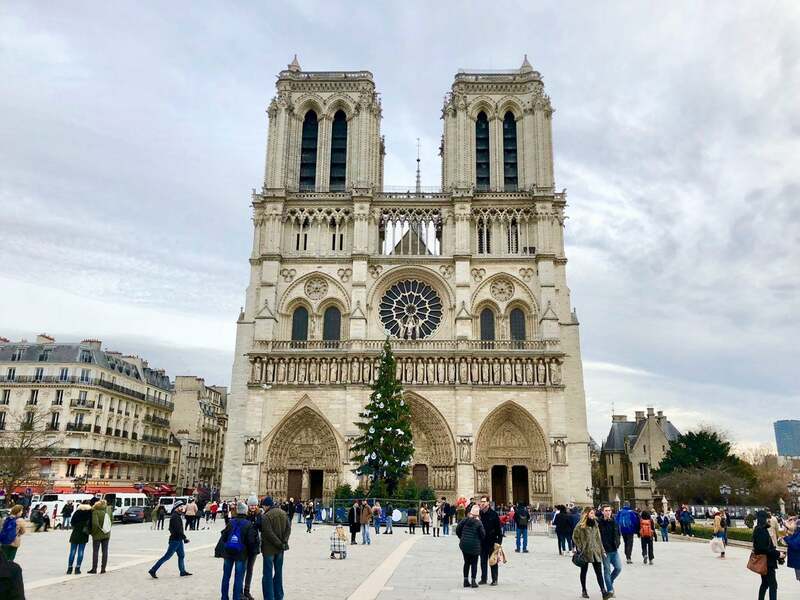 PARIS—The Christmas season is back on track in France’s capital city after a month of violent nationwide protests tripped up the country’s economy and dealt President Emmanuel Macron an existential threat to his ambitious reform program. The “yellow vest” protesters first took the streets in mid-November to oppose a fuel tax increase, which was part of Macron’s green agenda. Each weekend since Nov. 17, rioters in Paris have torched cars, torn up cobblestone streets, smashed storefronts, looted, and assaulted police. Beyond the capital city, protesters occupied roundabouts, and vandalized toll booths and speed detector sites. Across the country, 89,000 police were mobilized to restore order. More than a month later, the 40-year-old French leader has backtracked on his fuel tax, and Paris has already mostly repaired the physical damage of the riots. Reversing the damage done to France’s democracy, however, could take much longer. “Many people still consider that the ruling class lives on another planet, or in a parallel universe. People don’t often understand their language, which seems abstract and not directed toward their own concerns in their daily lives,” Nicolas Tenzer, founder and president of the Centre for Study and Research for Political Decision, a Paris-based think tank, told The Daily Signal. The French Ministry of the Interior estimated that about 66,000 yellow vest protesters demonstrated across France for a fifth straight Saturday on Dec. 15. That number was down from 125,000 the week before, and far fewer than the 287,000 protesters who took to the streets on Nov. 17. There was widespread optimism in Paris this week that the worst was over. Bricks had been re-laid where protesters had torn them up on the iconic cobblestone Avenue des Champs-Élysées. Across the city, high-end retailers and mom and pop stores alike had taken down the plywood nailed over their windows, meant to spare their goods from an errant brick through the glass. Across Paris this week, the sidewalks, squares, parks, and cafes were bustling. 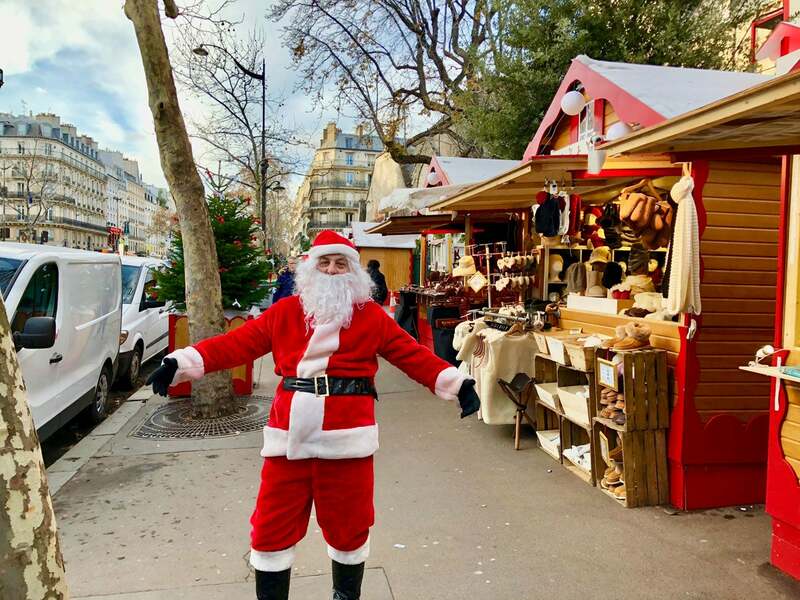 Outdoor Christmas markets like the one at Place Saint-Germain-des-Prés were full of shoppers who enjoyed browsing the wares while sipping on hot wine. In shops, cashiers routinely add a “Merry Christmas” after ringing up a purchase. Yet, despite the relative calm, some say the month of protests highlighted a long-simmering democratic crisis in France that has finally come to a head. 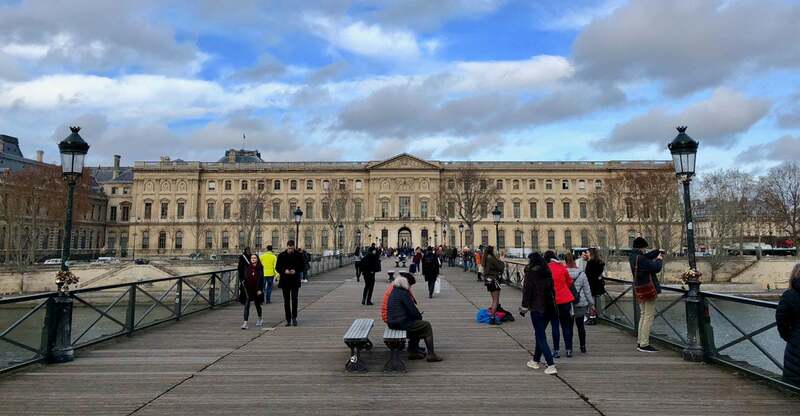 “It’s impossible to live on minimum wage,” said Laurent Lecrest, a 50-year-old author and literary editor who is now an independent outdoor bookseller, or bouquiniste, in one of the historic green book stalls that line the Seine River. Lecrest said he supported the yellow vest protesters because taxes are too high and salaries are too low—making life generally unaffordable in France. “We don’t have a cultural divide, we have a class divide between the very rich and the rest of us,” Lecrest said. To help quell the protests, Macron offered a national televised mea culpa on the evening of Dec. 10 in which he rescinded the proposed fuel tax and offered a financial olive branch to lower-income French citizens. Macron proposed a raise in the French minimum wage, a reduction in taxes for low-income pensioners, and tax-free overtime work. The French leader’s move, at the outset at least, appears to have somewhat stifled the protests. A fragile truce is holding. But some say that Macron’s tone-deaf fuel tax (designed as a punitive tax to reduce carbon emissions) was simply the tipping point, enflaming entrenched grievances. The bedrock issues behind the yellow vest protest movement remain: a decline in purchasing power for French workers and much of the middle class, as well as a hyper-regulatory national government that is divorced from the realities of the French street. 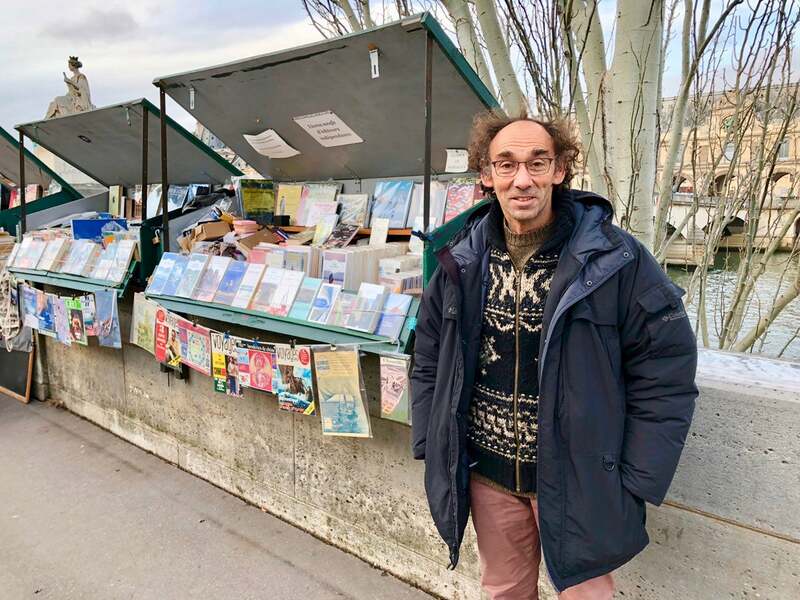 Laurent Lecrest, a 50-year-old author and literary editor who is now an independent outdoor bookseller, or bouquiniste, in one of the iconic green book stalls that line the Seine River. He supports the yellow vest protesters. “Obviously, the crisis is not new, but the fuel tax was certainly the straw that broke the camel’s back,” Tenzer said. Some experts say that French government policies have created a steady drip of intrusive, burdensome regulations. As a result, many French citizens say they’re fed up with their political leadership, whom they see as aloof and indifferent to the everyday hardships of French workers and the middle class. A French law mandating that every car carry a yellow emergency vest was the genesis of the yellow vests, or “gilets jaunes,” that became the emblematic symbol of the movement. “The protest is really originally a car driver’s protest against policies that they see as imposed upon them by people who do not need cars—the creative class in the city centers—and who make them pay a larger and larger amount for a state that gives them back less and less,” said Thibault Muzergues, a French political expert and author of the book “Class Quarters,” which examines social class upheavals in Western societies. Macron’s critics say his governing style is imperious, and the French leader’s penchant for controversial remarks, such as when he said that railway stations are places where you find “people who are nothing,” adds to the stigma. Yet, Macron’s ascendancy to the presidency at age 39 was an upheaval of France’s political order. For the first time in France’s Fifth Republic, the Socialists and Les Republicains, France’s establishment liberal and conservative political parties, respectively, were not represented in the second, final round of the 2017 presidential election. For his part, Macron had founded his own party, En Marche (“On the Move”), in April 2016 as a vessel for his maverick presidential campaign. The party has since been renamed La Republique En Marche (LREM). Macron ultimately won the second round of the French presidential election in May 2017 by taking 65 percent of the vote to defeat his rival, Marine Le Pen of the far-right, eurosceptic, anti-immigration National Front party. Some say that higher taxes and decreased purchasing power helped fuel the national protests. 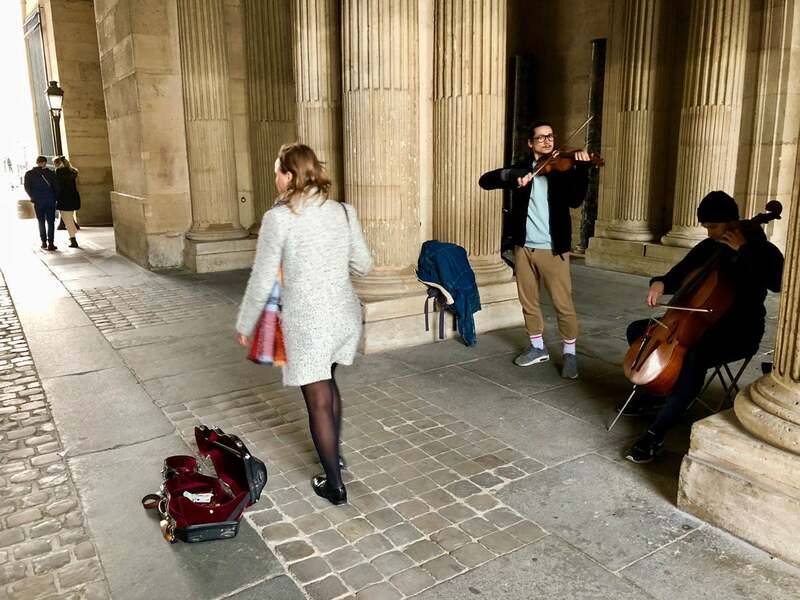 In office, Macron has endeavored to make France more appealing to tech companies and startups, and he’s pushed for a more flexible “gig economy.” In France, however, Macron’s vision is not universally championed. Some critics say the French leader’s ambitious economic reform agenda caters to the rich and forgets the common citizen. Macron’s critics accuse him of being out of touch with economic reality. For example, the French leader’s call for France to become a “startup nation” doesn’t sit well with working-class citizens who depend on traditional industries for their livelihoods. Also, many yellow vest protesters opposed Macron’s decision to heap additional tax burdens on the French citizenry for the sake of combating climate change. “The [yellow vests] movement has spoken and I believe expresses how fed up the entire French population is in the face of pressure from national and local taxes and the numerous other taxes that hit them, which makes France the most-taxed country in the world,” Yves Pozzo di Borgo, a former French senator who represented the Paris region from 2004 to 2017, told The Daily Signal. During the 2017 presidential elections, the overall attitude of French voters was one of malaise. Many voters were unhappy with the available candidates and content to sit the election out. Unlike other protests in France in the post-World War II era, the yellow vest movement was not born of a political party or organized labor—nor was it tied to immigration. Rather, the popular revolt was a spontaneous, grassroots expression of frustration from within French society. “This movement has spread within the social classes most vulnerable and imprinted with the belief that, nevertheless, their votes in presidential and legislative elections never had any impact on their lives,” di Borgo, the former French senator, said. More broadly, the popular revolt has added an additional headwind to France’s economy. The Bank of France announced this month that national fourth quarter growth would likely be half of what was projected—a downturn attributable to the protests. Life was pretty much back to normal in Paris on Dec. 18, despite a month of violent protests. Those who support the yellow vest movement largely attribute the violence and vandalism over the past month to far-left and far-right “casseurs,” or troublemakers, who co-opted the protests for their own aims. News reports, however, show some yellow vest protesters took part in the vandalism. Still, despite the damage the protests have wrought—both physical and economic—the yellow vest movement remains widely popular in France. A poll published on Wednesday by BFM TV, France’s most-watched news network, found that 70 percent of French people supported or had sympathy for the protesters. That number is slightly down from 75 percent a month ago, but still suggests a firm footing of public support. “We’re very worried because the [yellow vest] movement, despite its excesses, is very well anchored in the country and we have a President Macron and a Prime Minister Philippe who have hit their limits,” said di Borgo, the former French senator, referencing French Prime Minister Edouard Philippe. Although the yellow vest movement is nominally leaderless, the protesters have, nonetheless, put forward a laundry list of 42 specific policy proposals. One of those measures is called the “Citizens’ Initiative Referendum”—known in France by the acronym RIC. According to the measure, any policy proposal garnering 700,000 signatures triggers a national referendum to be held within a year. In 2008, France adopted a constitutional amendment permitting a popular referendum if the proposed measure had the support of one-fifth of the members of parliament and the backing of one-tenth of registered voters. But the 2008 measure, known as the Shared Initiative Referendum, or RIP, has never been used. Critics of the new referendum, however, warn that it could be misused by populist political parties to push their agendas. Several of the 2017 presidential candidates were vocal supporters of popular referendums, notably far-left leader Jean-Luc Mélenchon and Le Pen of the far-right National Front party. Socialist party candidate Benoit Hamon also proposed a similar measure. “RIC will not change anything to help [the yellow vest protesters’] distress. What they want is the state to get back into their lives, to rebuild their infrastructure and give them back their lost jobs and dignity. This is the paradox of this movement. From a predominantly anti-tax basis, it has brought together mostly demands for more state intervention,” Muzergues, the French political expert, said. Members of Macron’s upstart political party, La Republique En Marche, are not supportive of the proposed new referendum—but their opposition to it has been cautious. The far-right National Front party and its far-left counterpoint, “Unsubmissive France,” are both swiftly working to capitalize on the yellow vest movement. These populist parties want to tap into the root causes of the protests as an inroad to make gains in the European Parliament elections in France next May—as well the presidential contest in 2022. Le Pen and her National Front party have gotten the biggest boost from the protests’ fallout to date. A recent poll by IFOP, a French public opinion institute, found that if the presidential election were held today, Le Pen would edge out Macron by a margin of 27 percent to 25 percent of the vote. Mélenchon, a far-left candidate who took 20 percent of the first round vote in 2017, obtained about 13 percent of the vote in the hypothetical IFOP matchup. For its part, Mélenchon’s far-left, populist political party, “Unsubmissive France,” was the first out the gates to support the Citizens’ Initiative Referendum, proposing on Monday a constitutional law to enact the measure. “The mobilization of the past few weeks shows the people’s desire to take back the political conversation and decision,” the party said in a statement, French agencies reported. A Christmas market at Place Saint-Germain-des-Prés. Macron’s approval rating dropped to 23 percent this month, according to a poll by the French weekly Le Journal Du Dimanche. That’s a precipitous fall from January 2018, when the publication reported Macron’s favorability rating was at 50 percent. On Dec. 10, Macron announced a two-month-long “grand debate” to “take the pulse of the nation.” The public airing of grievances will begin in mid-January, but details are still sketchy about how, exactly, the public debate will be run. 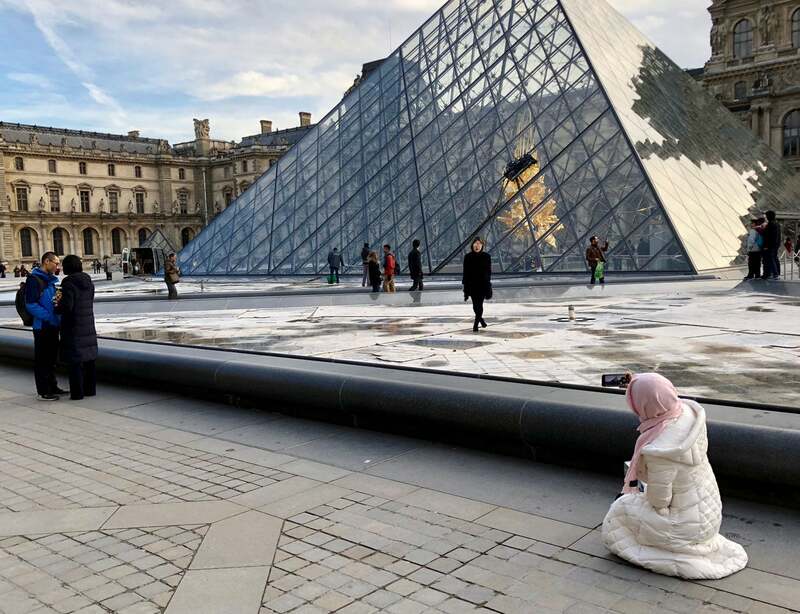 “The public debate proposed by Emmanuel Macron, if well organized—which isn’t that easy—could offer a solution,” Tenzer said, adding that French politicians need an education in how their actions affect the lives of the people they govern. Next articleWhy Isn’t Department of Justice Investigating Clinton Corruption?